I really like the idea of listening to audio books, but I have always found it difficult to concentrate on them. I don’t feel comfortable simply staring into space while I listen, which would be the audio equivalent of the total concentration I give most books when I read them in print. But even innocuous tasks to keep my hands busy while I listen (crochet, for instance) can occasionally take my mind off the words long enough to throw me off, and there are far too many distractions and interruptions when I’m walking or driving for me to stay focused. Though I sign audio books out of the library intermittently, then, I almost never manage to actually read (listen to) them all the way through. I realize that there’s absolutely no reason why I need to adapt to audio books. I spend a lot of time with books as it is! And I’m busy and about to get busier, so I should not be looking for ways to while away the time — except that precisely because I’m busy, I like to have pleasant ways to relax, including ways that aren’t watching TV. So I’m trying something slightly different with audio books: instead of signing out new books I’ve been hoping to read, recently I’ve borrowed a couple that I already know well, on the theory that for them it won’t hurt if my attention wanders once in a while. And while I’m listening, I’m coloring, which is both soothing and suitably non-verbal, so I can concentrate quite well on the story. 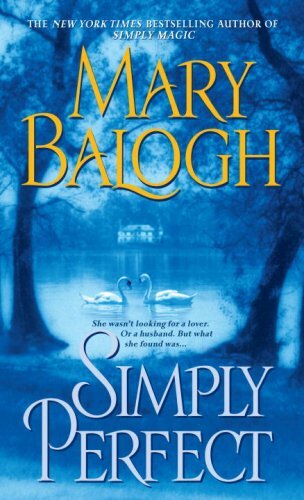 The first book I tried this way was Mary Balogh’s Simply Perfect, 2/3 of which is my favorite Balogh novel (the other 1/3, which is scattered across the book, I find kind of annoying, so I skipped bits here and there as I listened). I quite liked the narrator, Rosalyn Landor, though I wish she had not felt obliged to put on “manly” voices for the male characters, especially the hero. Is this a typical thing, to do the characters in different voices? I hope not, but Susan Boyce, the reader of the second book I’ve listened to (Jennifer Crusie’s The Cinderella Deal), did different accents, so I fear it may be. I’d be fine with narrators just reading the dialogue in a natural way, rather than trying to dramatize it. I did still enjoy the stories, though, and listening to a chapter while doing a bit of coloring is definitely a nice way to unwind after a stressful day. I probably won’t have a lot of time for listening and coloring once term begins, but I will keep experimenting. I’ve been thinking that listening to books is actually a skill of a different kind from reading them on the page, and maybe as I get accustomed to it, I will be able to work in new books and keep track of them better. I don’t think listening would be a good option for really dense or complexly structured books, certainly not for books I intend to write about in detail. But for lighter books that I read for diversion anyway, audio books might be a fine option, if I can learn to listen well enough. I have already become a bit frustrated with our library’s selection, though. I thought, for instance, that I’d really enjoy listening to Little Women, which I haven’t read in many years, but I sampled the library’s only version and I don’t like the narrator at all. There are very few classics, and none of the ones I’ve heard particularly recommended (Juliet Stevenson reading Middlemarch, for example, or Timothy West reading Trollope). Simply Perfect is actually the only Balogh in the library’s collection, and The Cinderella Deal is the only Crusie….and so on. Still, I am not about to sign up for Audible unless this listening experiment really takes, so for now I’ll have to make do. I’ve got Anne Tyler’s Back When We Were Grownups on hold: I think that will be a good one for me. 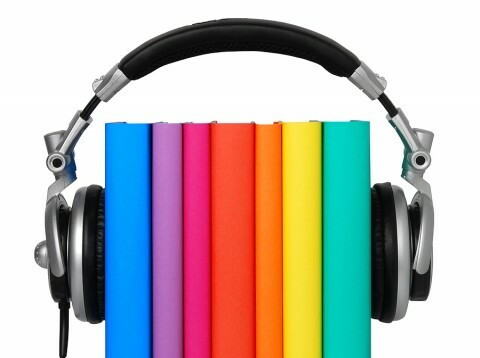 Any tips from you more experienced audio book listeners — favorite narrators, good sources, ways to keep focused? Also, what do you especially like about listening to books — is it mostly about the convenience of being able to play them while you do other things, or do you find you have a different relationship with books you hear rather than read? Previous Article Another New Month, Another New Open Letters! I listen to audiobooks a lot — but I suppose my relationship with English lit / books is different from yours in general, really, so audiobooks fit my life quite well. I’m not reading them for work, even tangentially, and in general I read books quite casually and quickly (which I’m trying to become less embarrassed to admit). I also re-read frequently. But in the last 5-10 years (since having a full-time job and small children) I’ve had very little time to sit and read for pleasure, and when I’ve had time I’ve just re-read the novels I already have, for lack of space for new books. Audiobooks have therefore transformed things for me; I listen to them while I do housework, while I walk to school, while I drive, while I put the kids to bed (and when I had to lie down beside them in the dark every night, for years), whenever I possibly can. I’m listening to one now as I type! It’s definitely multitasking, and I’m certainly not paying the kind of attention I *should*, I know. But since I’m mostly listening to murder mysteries or fantasy, and can re-listen to things, it doesn’t matter for my enjoyment. As for tips — I’m signed up for Audible, and while it’s not cheap, I do love it. The professional readers make such a difference; and I quite like the narrators who do ‘voices’ or ‘accents’, myself. One narrator I love is Barbara Rosenblatt, who reads two fun series I enjoy (as well as many others) — the Mrs Pollifax novels, and Elizabeth Peters’ Egyptian novels. I also keep trying LibriVox, which is free–but they only have works that are in the public domain, and the narrators are volunteers, and very hit-and-miss. They tend to just narrate, though, without doing voices, so you might like them. There does seem to be a surprisingly high number of people who record narrations for them who aren’t native English speakers, though, and I admit I find it rather painful to listen to classic English literature read by people with heavy German, Dutch, or Chinese accents. I have poked around on LibriVox but you are right about the hit-or-miss quality. I might buy a few really good ones outright as a next step and then make up my mind about Audible. I do think that listening to audiobooks is something of a skill. Or maybe that’s not quite the right way to put it: it’s a different experience of the book than reading text (and I do “hear” the words in my head when I read) and I had to learn to accept that. Once I mastered what that experience was like, it helped me decide better what kinds of books would work for me in audio. I think you do miss some things–sometimes I drift off, and while I do this when reading too, it’s much easier to go back and read that bit again with text. I love them for making routine, dull tasks more bearable (doing dishes, grocery shopping, commuting). I have used them for “big” books I likely wouldn’t have devoted the time to in print, like rereading Middlemarch or tackling Anthony Powell and Trollope’s Palliser saga (I actually prefer Simon Vance to West there, and one thing I’ve learned is sample, sample, sample, because taste in narrators is very personal. I gave up on historical romance in audio because I can’t stand either Landor or Anne Flosnik, and they narrate practically everything). Big non-fiction books, too, I otherwise would seldom make time for–non-fiction with some kind of narrative is easier, but I’ll try anything that sounds interesting. I listened to Thomas Piketty’s Capital in the 21st Century and NO WAY would I have made time to read that whole book. A lot did go over my head or in one ear out the other (but probably would have even in print); I still gained *something* from listening. And I loved listening to Wade Davis’ Into the Silence, about the 1920s Everest expeditions, although I missed having maps and photos and I couldn’t keep names straight without seeing them in print. But again–I’d rather have some experience of the book than none, which is the likely alternative. I also do listen to old favorites over and over, often dipping in and out or listening when I have insomnia. It doesn’t matter if you fall asleep or zone out when you know the book almost by heart. I guess the tl;dr version of this is that I think of audiobooks as a supplement to reading, a different experience of a book, and as long as I accept that, I find it really satisfying. There are definitely things I choose not to listen to–e.g. complexly structured literary fiction (well, Middlemarch, but I already knew it well) and thrillers because I can’t take the stress of not being able to read faster and faster in the tense or gory parts. I used the library until I was hooked, and then went for an Audible account. That’s less of a bargain now that the Canadian dollar is so low. That’s a really good point — I’ve listened to a number of books that I’d never have had the patience for in print. The Count of Monte Cristo, for instance. And I totally agree about making dull tasks bearable–and even pleasurable! I sometimes actively want to wash the dishes etc., just to have some listening time. (I also listen to podcasts a lot, so they fill much the same position for me). I usually listen with earbuds, one in and one out, so that I can also hear the kids. In many ways it’s much like the way I grew up — always a book in one hand while I did most of the other tasks in my life at the same time as reading! I have Count of Monte Cristo on my iPod but . . . 47 hours! I might be daunted even by the audio version. This all makes a lot of sense — and I like the point about everyday chores become more fun, too. For so long I was always already multitasking by tending to the kids, or being interrupted by them, that I even stopped listening to music most of the time while doing chores, but that has definitely changed. The advice to sample thoroughly really does seem key, especially if I might put significant money into an audio book. I thought Landor was fine for Balogh, and she’s also narrating the Simone St. James novel I am listening to now, but she’s a bit affected and almost prim sounding most of the time and I can see getting tired of it — or not finding hers quite the right tone or voice for different kinds of stories. Juliet Stevenson reading Middlemarch — sounds like a winning combination! I wonder if our library would consider buying that one. Their collection is limited, I agree, and I do end up relying on them for almost everything I listen to (with the exception of the Austen novels I’ve purchased for my own collection). I have only checked the library holdings on Overdrive, since the easiest option is to borrow electronically and download them. Have you found a good selection in hard copy? I should explore the regular catalog — logistically it would be a bit harder, but maybe some of the classic titles I’m interested in would be available that way. Mansfield Park is actually one I’d like to listen to, since as you know it’s an Austen I don’t know well, though I did read it once upon a time. I might take you up on that over Christmas! One of the problems for me with CDs is that my computer doesn’t have an optical drive, so to listen on them I’d either have to set up shop in the living room or hook up an external one (which I have but don’t usually have set up). Not a big obstacle, but that’s why I’ve been looking for downloadable options. The only book I’ve “read” as an audiobook is Jane’s Fame: How Jane Austen Conquered the World by Claire Harman. Wanda McCaddon’s reading was very good, but the format just didn’t work for me in a non-fiction work like this – it’s very hard to turn back “pages” and find references or to note down names or items for further research. My wife has some audiobooks, including Mansfield Park, which she listens to in the car on occasion, and I think they can work well if one has a long commute or regularly takes long road trips. I doubt I would engage in household listening: even the shortest novels take several hours to listen to and, since I dislike engaging more than one work of fiction at a time, I can’t see myself replacing my daily reading of books on paper with listening. Music works much better for me as an auditory experience. I have to agree with your wise readers about the differences wrought through the medium. I took a new job with strict, long hours and a 40+ minute rush hour commute tacked on each end, eating up too much of my reading energy. A smart librarian suggested I try audiobooks, and while I don’t like them as much (they’re clearly distinct from reading) I have found they are better than no-books-at-all. And as your clever friend Liz Mc2 stated, choosing the apt content and learning how to listen to them are skills. My 1st candidates were based on an idea that I would read works by great authors I loved reading but hadn’t completed. Frelling failure. Faulkner’s As I Lay Dying is not consumable. Surprisingly, neither were Melville or (to me) Morrison. I think the eye needs the freedom to rescan bits, re-read paragraphs, and doing this w/a rewind control is more interruptus than circling back. A couple of successful audiobooks to consider are A.L.Kennedy’s All the Rage, very serious work that succeeds in this medium. And (not just a fine, readable author but the single best reader ever) Nick Hornby’s Funny Girl read by the stage actress Emma Fielding (who does everything a reader can do, from a dozen accents to flawless theatrical timing to different intonations for male characters, et.al.). I had that “catch up on classics” instinct too until I sampled a few and thought, nope, not likely to go well — for the same rereading reasons, mostly. I think Austen will be an exception as her prose is so lucid to begin with. Nick Hornby! Great suggestion. Funny Girl is out but I’ve put a hold on it. The only audiobook I’ve ever listened to is John Banville’s The Sea, which was magnificent and magnificently read. My husband and I were taking on a longish car trip, so we decided this could be something to try. I’d feared I wouldn’t be able to keep my attention on the story, but this turned out not to be a problem, Also, The Sea has a complex non-linear structure, which might seem like a potential problem but turned out not to be one; we were well able to keep track of the narrative and stay engaged and manage the shifts. Not sure whether it was some combo of the wonderful reader and the skillful writing that allowed it to work so well, since my experience is so limited. The people I know who are most into audiobooks have long commutes or long workout sessions on the cross-trainer.